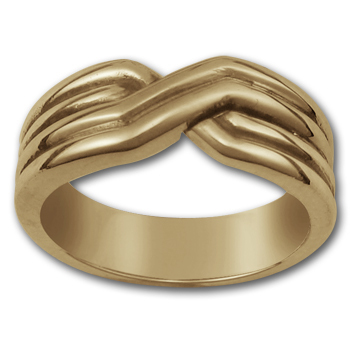 An absolute must for collectors, our 14k gold Eye of Horus Ring is beautifully crafted and polished to perfection. A common motif in Ancient Egypt, the "all-seeing eye" Horus was the son of the goddess Isis and the god Osiris. 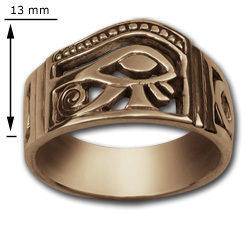 This "Horus" ring is also adorned with the Egyptian Ankh symbol on both sides. Width tapers from 13mm in the front to 8mm at the back.